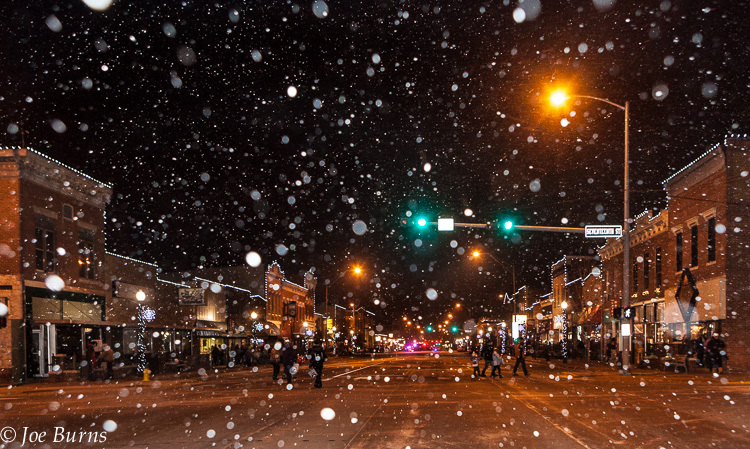 Despite a cold wind and touch of snow, families toured downtown Blair on Thursday evening, November 21, picking up cookies and other goodies at shops along Washington Streets. Activities included a soup supper at the South Fire Station, and holiday music selections by the Blair Community Band. Children’s author/illustrator Bruce Arant of Omaha entertained children and adults alike at the Blair Library with readings from his book, “Simpson’s sheep Wont go to Sleep.” Arant also created a brand new character illustration with the help and suggestions from children in the audience. Bruce Arandt original story book caricature. Blair Blaze fastpitch softbsll team. Kelvin Grasz and Vince Krysl perform at Kindermusik. Susie Paulsen holds a tatoo sticker on Amelia Petereson’s arm.